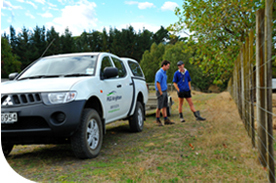 Since the inception of putting Deer behind wire, a dedicated team of Deer Specialists has operated throughout New Zealand, servicing all aspects of the Deer industry. From Pasture to Processor, Venison, Velvet and Trophies, Breeders and Finishers, Stud and commercial Deer farmers, Genetics, buying and selling. 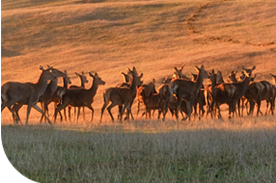 The expertise within the PGG Wrightson Deer Specialist team could prove invaluable in the management of your Deer property. Deer Sale Results - December 2018. Red - Stag - Hind - Velvet Stag - Sale Results - January 2019. Wapiti Bull / Cow - Sale Results - January 2019. Peel Forest Est. [Peel Forest] 1.00pm. 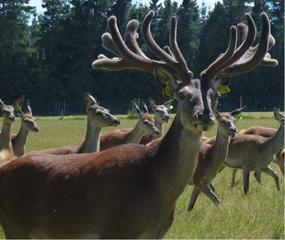 Deer Genetics NZ. [Geraldine] 4.30pm. Lochinvar Wapiti Farm. [Te Anau] 11.00am. Deer Sale Results - December 2017. Red - Stag - Hind - Velvet Stag - Sale Results - January 2018.